We are small and try to keep operating costs low and pass those savings onto our guests, so sorry NO CREDIT CARDS. We accept personal checks, money orders, Paypal Money Transfer, bank transfers, traveler’s checks, and cash. There are ATM machines in Kaunakakai and cash advances on credit cards are available at the two banks in Kaunakakai. 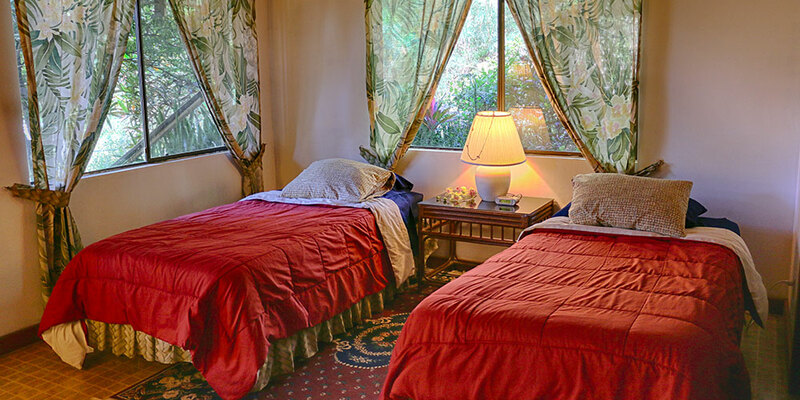 To reserve your dates, we ask approximately 1/3 of the total of your stay. Deposits are not refundable if dates are canceled within 8 weeks of your stay. To cover costs of administration, $25 will be retained on any deposits returned. 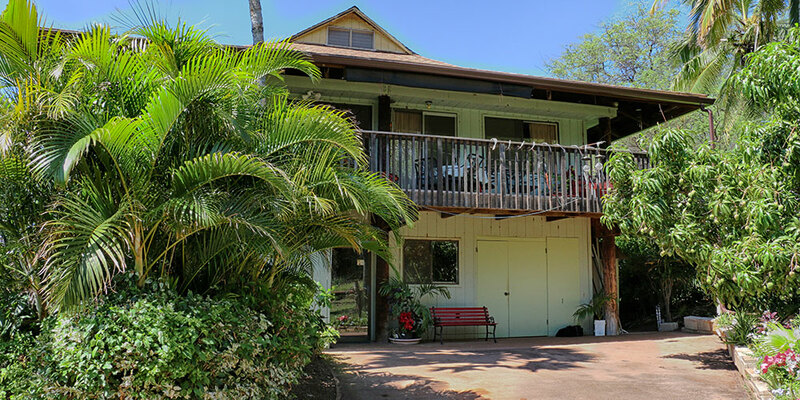 Centrally located on the south shore just before the 5-mile marker (east of Kaunakakai). Walk to the beach. We back onto a wild area full of wildlife. We’re across the road from the ocean and a 5 minute walk to a public beach – yes it is swimmable. We have magnificent views up to the historic Kawela mountains. Many rainbows towards evening. Morning walks along the beach are easy and the water is swimmable since we are on the south shore which is rimmed by a 28-mile barrier reef – one of Molokai’s best kept secrets. 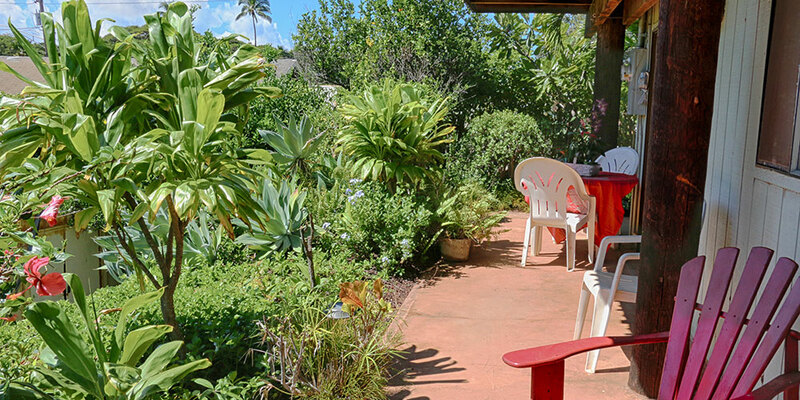 The house and garden is private with a 10-foot hedge surrounding the yard, and the back garden of the property adjoins a wild area which rises up into the famous Kawela mountains. We are definitely in the country – with deer using a trail behind us (you can watch for them if you are an early riser), Francolins (small partridges) feeding in the bush, and countless birds nesting and roosting in the garden. 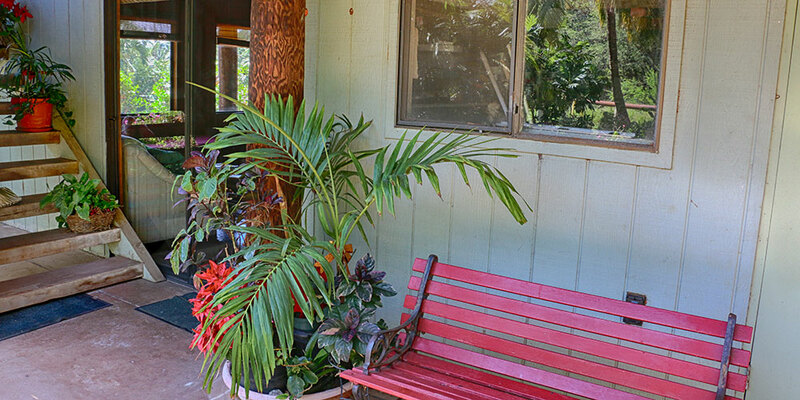 We have numerous fruit trees, palms, vegetable garden, herb garden, and flowers – hence “HALE MALA” means the garden house. 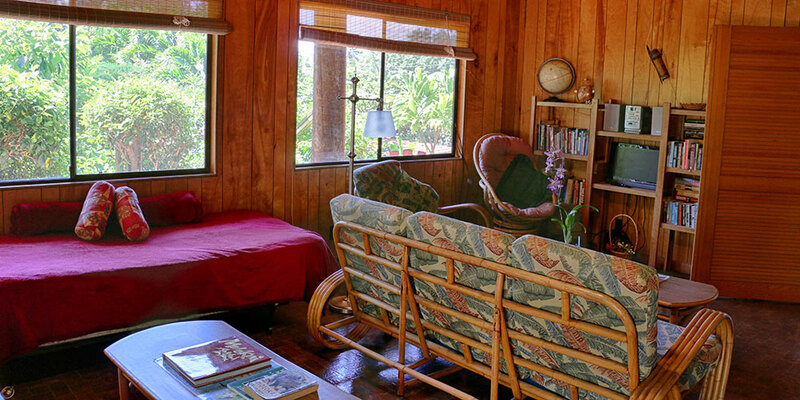 Spacious 900 sq.ft. 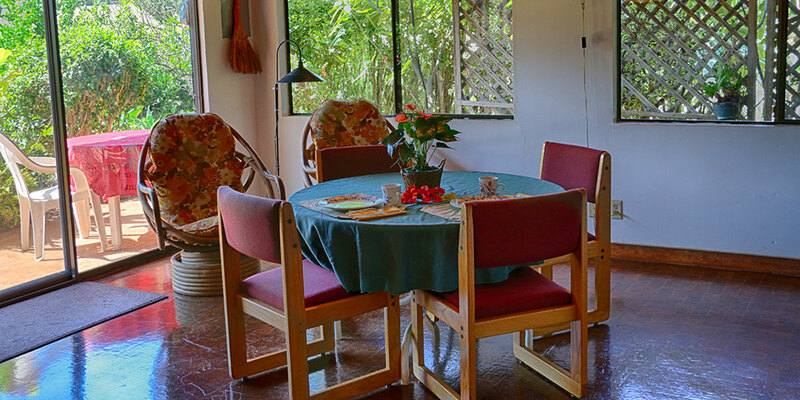 4-room, fully-equipped ground floor apartment surrounded by lanai and tropical garden for your educational experience. WIFI High Speed Internet available. Cable TV. Sleeps up to 4 people in a family. We would love to have you stay with us. 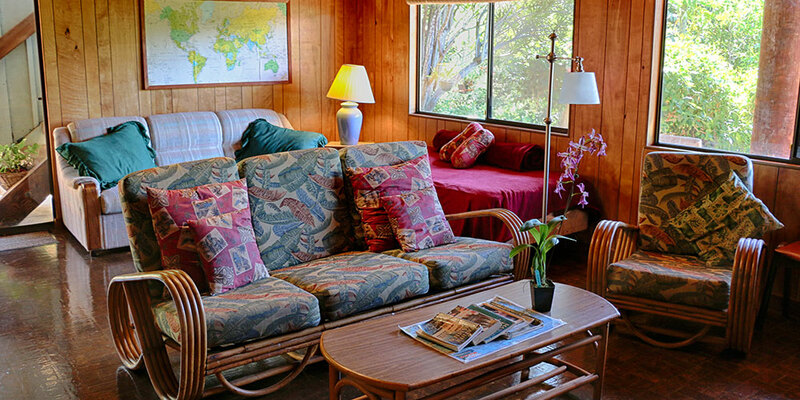 Ka Hale Mala is your home-away-from-home on Molokai. You’re welcome to pick veggies from the garden and share in the bounty of the orchard: tangelo, pommelo, figs, kau oranges, papaya , limes, grapefruit, tangerines, breadfruit, and more. 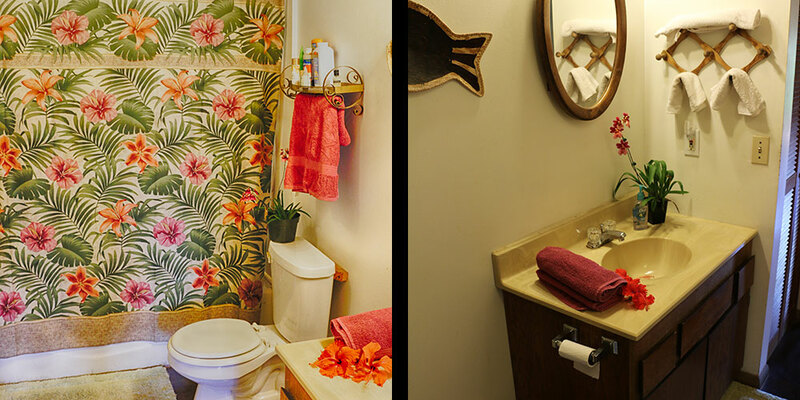 We have a unique family home that is really two houses in one which affords a lot of privacy for you – our guests. You will enjoy lots of peace and quiet except for the sounds of nature. 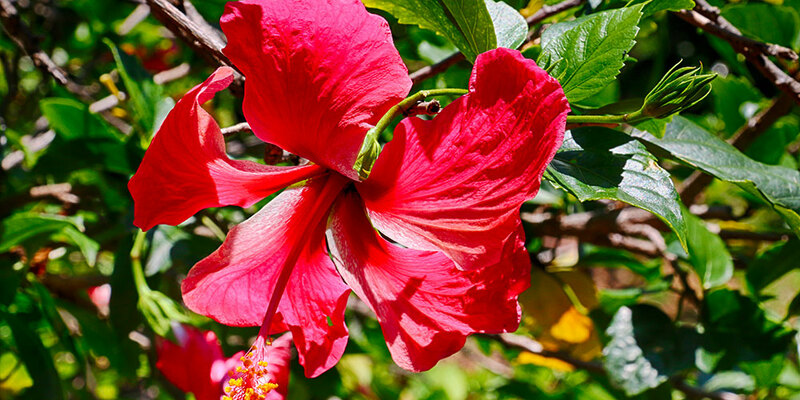 Extensive information about Molokai, places to see and activities to do. Your visit is an educational experience each day in our home. 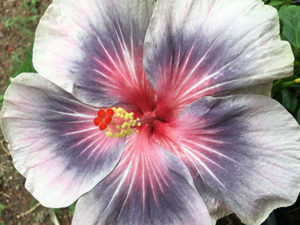 You are served fresh fruit from the orchard, dishes use my garden veggies or island produce, breads are home baked. 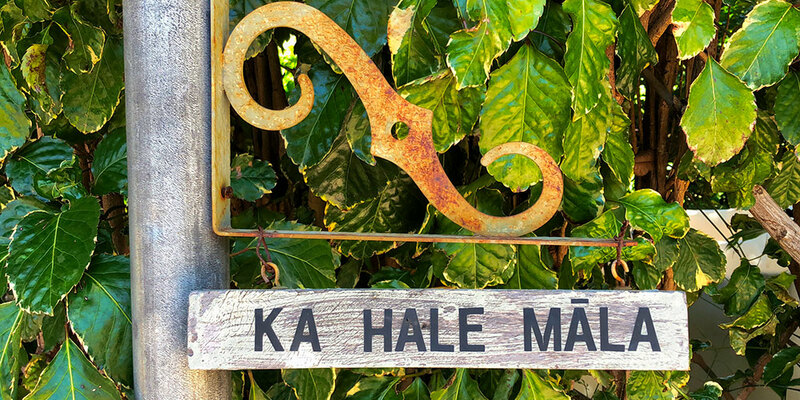 Find out more about breakfast at…Ka Hale Mala Breakfast. 900 sq.ft. 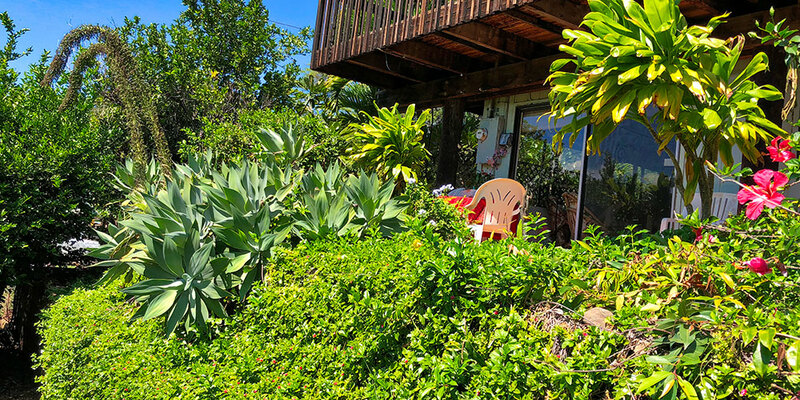 suite surrounded by lanai and tropical garden. 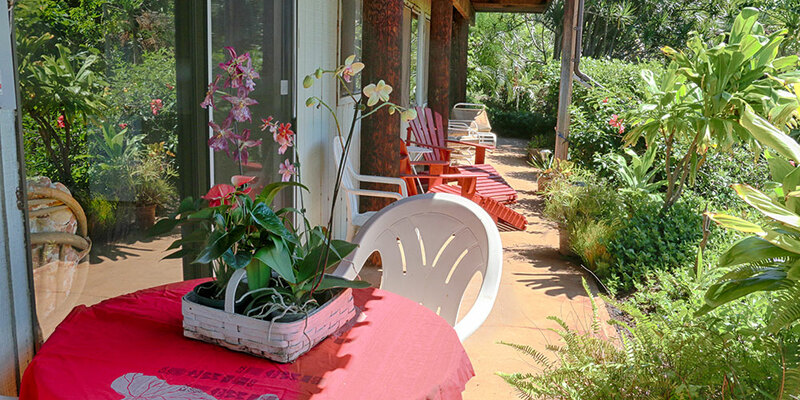 More spacious than most condos our guests tell us. 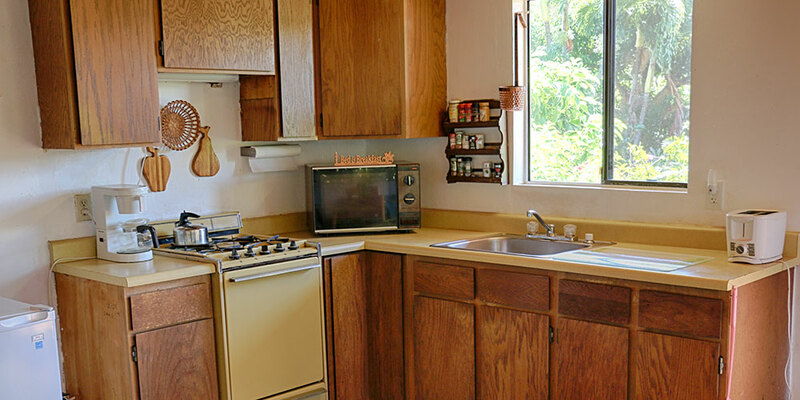 Fully-equipped kitchen including microwave, fridge, toaster, coffee maker,etc. It’ll be like cooking at home. 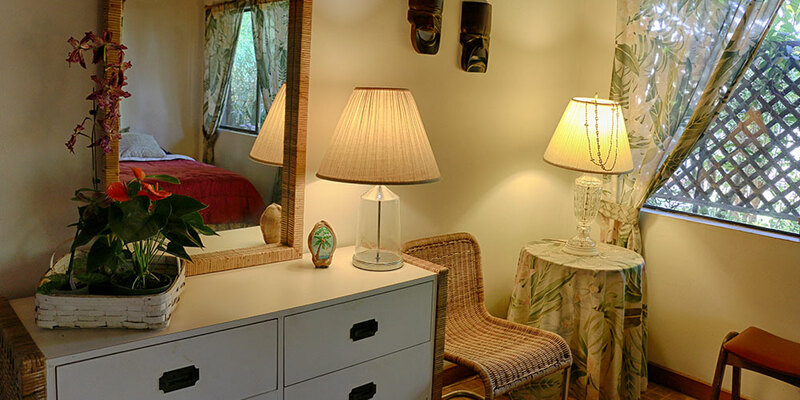 The four rooms include your own spacious living room, bright kitchen/dining area, bedroom for two (with two day beds in the living room you can sleep up to four with privacy for everyone), and bathroom with combination tub and shower. Cable television and cassette/CD/radio stereo. BBQ available (supply your own charcoal). Solar dryer available (several laundry mats 10 minutes away in Kaunakakai). Lounger and outdoor dining table and chairs overlooking the 6000 sq.ft. front garden. Eight sliding windows and two sliding doors, so there is plenty of ventilation to keep the unit cool. An overhead fan in the bedroom. The unit overlooks the orchard and garden so bird watch to your heart’s content. Or meander in the garden and forage a snack on Hawaiian tomatoes. Private! (there is not any interior connection between the two levels). You can be as self sufficient as you want. With the size of the unit, it is more than enough space for comfortable short or longer stays on Molokai. And the third and fourth members of our household get comments too. Snowball was our white house cat. He adopted us when he was a stray and was our pride and joy. But sadly, he passed away this year. Our new teenagers are Huna and Huli, two teenage kitties. Although they are not allowed in the guest’s apartment to ensure guests with allergies are cat free, you can visit them in our part of the house – they are strictly house cats. Huna is very dignified, while her sister, Huli, craves attention and loves to play. So guests who miss their pets while on vacation, can love Huli and Huna.